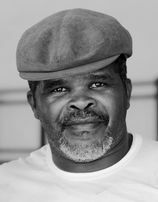 O Pai, Mestre Jogo de Dentro, is the founder of the Grupo de Capoeira Semente do Jogo de Angola (GCSJA). He studied Capoeira Angola at Mestre João Pequeno’s Centre Esportiva de Capoeira Angola. He was awarded the title of Mestre in 1994. Caring deeply for Capoeira Angola’s roots and traditions, he emphasizes not only the techniques but also the history of capoeira, recognizing the painful past of those who have carried these traditions to this day. Renown throughout the world, he is truly a remarkable figure. Like Mestre João Pequeno, he is dedicated to the survival of his art through his students. Other affiliates of the GCSJA : Brazil: Salvador, Sao Paulo -1, São Paulo-2, Campinas-1, Campinas-2, Campinas-3, Florianopolis, Santa Rita, Uberlandia; Canada : Montréal, Ottawa, Toronto; Israël: Haifa and Tel Aviv ; Japan: Tokyo, Italy : Milan and Bari; Colombia: Medellin; New Zealand; Costa Rica; France: Bordeaux. O Vovo, Mestre João Pequeno, was a student of Mestre Pastinha, as well as a charismatic leader. He passed away at the age of 92, leaving behind an academy located in Salvador (Bahia) at the San Antonio Fort. He was an ambassador of the art of capoeira, and his teachings have spread throughout the world. 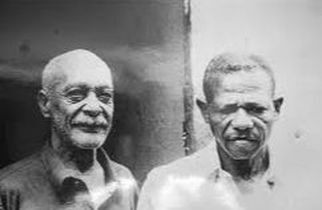 O Bisavô, Mestre Pastinha, founded the first Capoeira Angola school in 1941. He is considered one of the founding fathers of the art of capoeira. He trained Mestre João Pequeno and Mestre João Grande, amongst others. He used to say, « Na minha academia, eu tenho dois Joãos. Um é cobra mansa e o outro é o gavião. Enquanto um anda pelos ares, o outro enrosca pelo chão. ». He was obviously talking about Mestre João Pequeno and Mestre João Grande, who went on to teach many others. 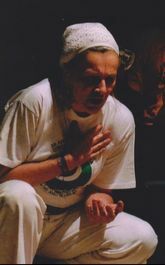 Mestre Colette began practicing contemporary Capoeira in 1990. She met Mestre João Pequeno in Boston in 1993, which inspired her to travel to Salvador. On her second trip to Brazil in 1994, she was determined to meet Mestre João Pequeno again. At the same, she also met Mestre Jogo de Dentro, which would change the course of her life forever. Upon her return to Montreal, Mestre Colette founded the first Capoeira Angola school in Canada. She has returned countless times to Brazil to perfect her training. Since then, she has organized over 30 trips for Mestre Jogo de Dentro to bring the teachings of capoeira angola to Montreal. In 2013, she received her Mestre’s diploma from the hands of her mentor in Salvador. She is one of the first non-Brazilian women to complete this diploma.